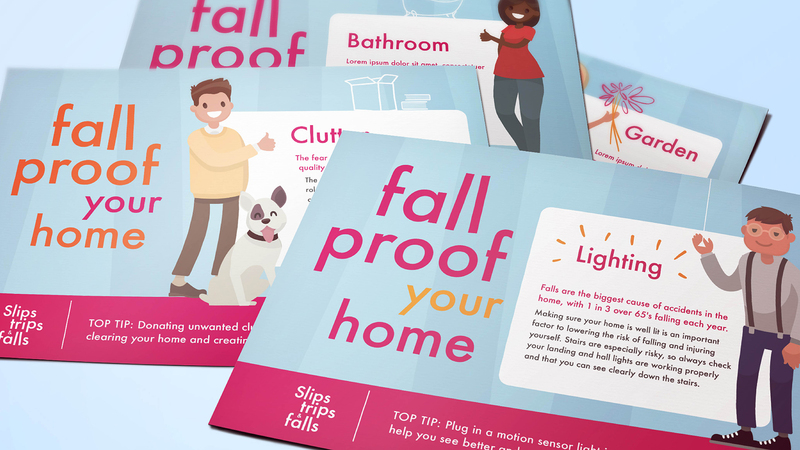 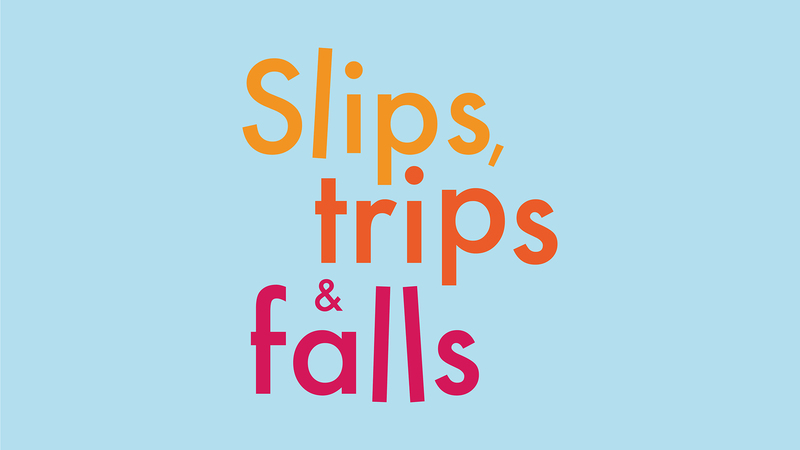 Using friendly characters and a reassuring tone of voice, the Slips Trips & Falls campaign was launched to give advice on staying safe in and around the home. 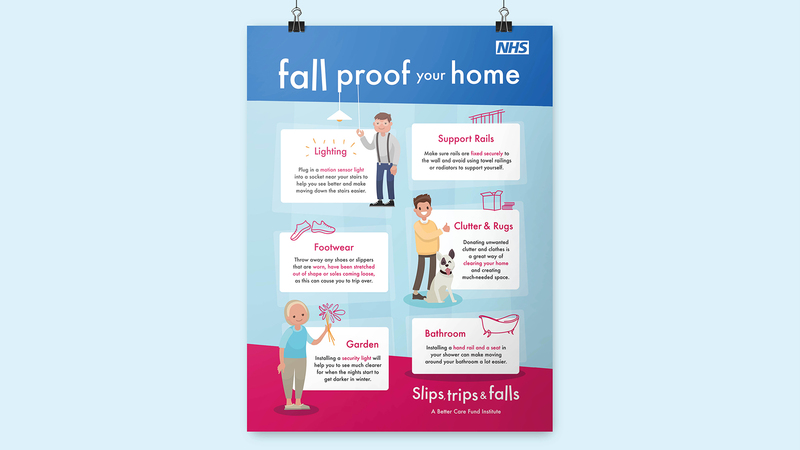 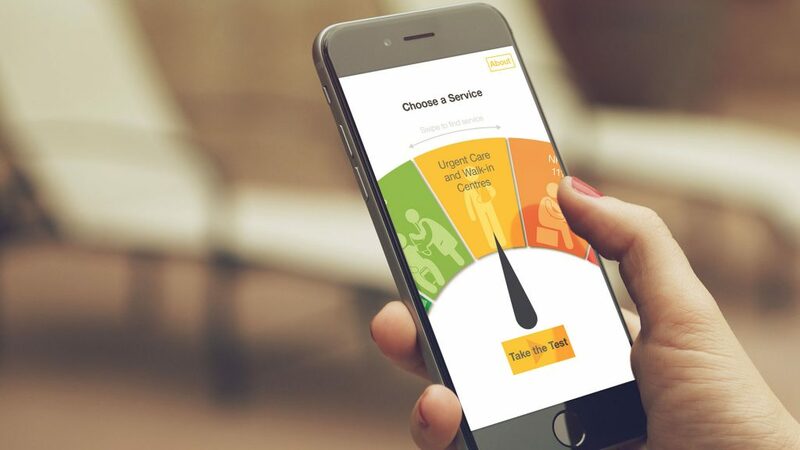 Bluestep were approached to create a range of marketing materials to support the campaign and communicate messages effectively to the desired elderly audience. 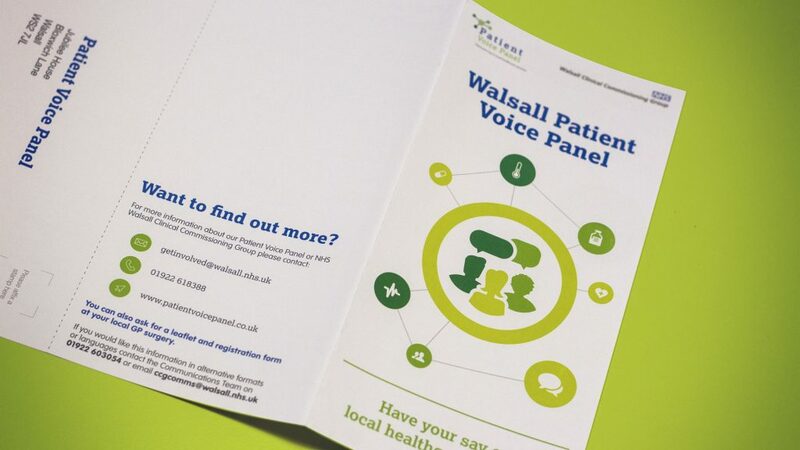 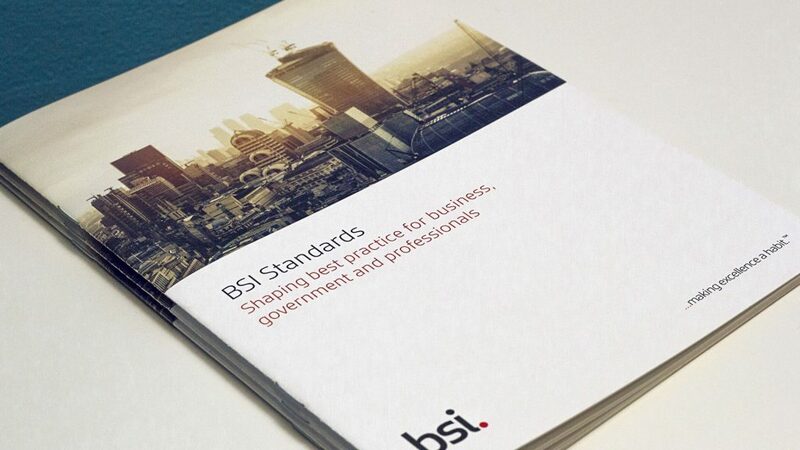 We created the overall brand look and feel, the logo and various pieces of literature to support the campaign. 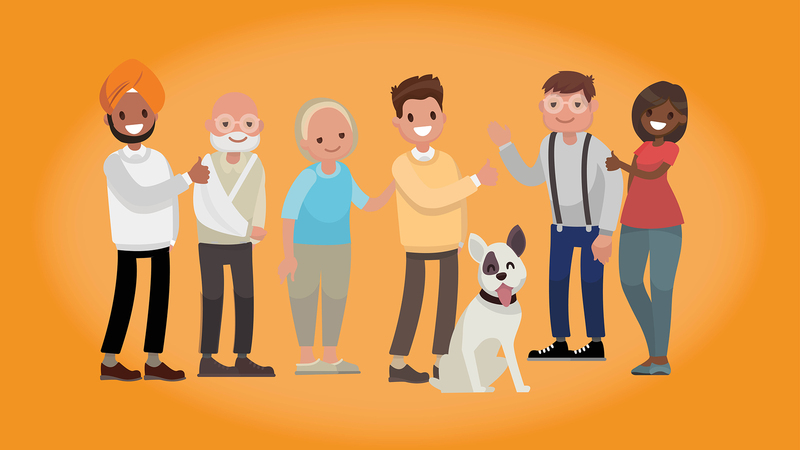 Six characters (and a pet dog!) 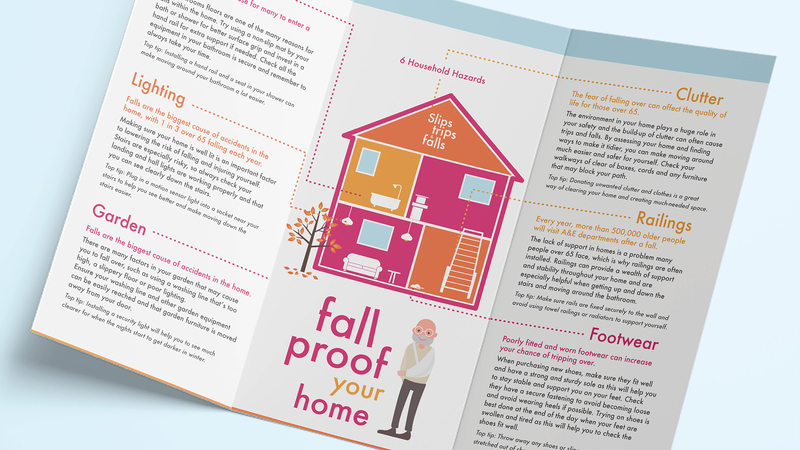 were designed to use across the marketing materials, highlighting specific hazards that could be a potential risk around the home. 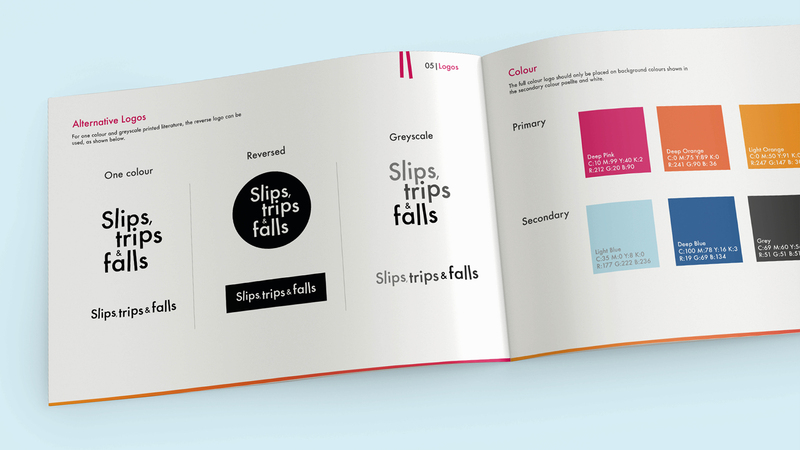 Bluestep also created the accompanying campaign assets, complete with a set of brand guidelines to ensure efficient use of the identity is utilised throughout communication.